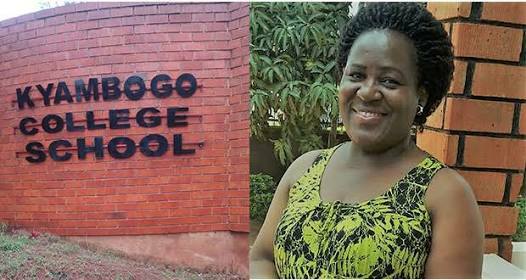 Students and teachers of Kyambogo College School are mourning their headteacher AnnieTumwesigye Makaaru, who passed away on Wednesday night. News of Tumwesigye’s death came in at the time the students were preparing for examinations, forcing the administration to postpone. The cause of Tumwesigye’s death was still unclear, but two family members told PML Daily when we visited Kyambogo College School at 4pm that they rushed her to Metroplex hospital in Nalya Estates, when she became unconscious. “She passed on as we reached the hospital,” one of the family members explained. Unofficial reports indicate that Tumwesigye died of high blood pressure. On Thursday morning, the ministry of Education announced her death and a requiem service was held at St Luke, Ntinda, at midday. Before joining Kyambogo College School, Tumwesigye had served as both a teacher and head teacher in Kyebambe Girls School in Fort Portal, Bweranyangi Girls School and Kashaka Girls School. At Mbarara High School, one of her former students Ronald Masembe, a social worker told PML DAILY that she taught literature. “She was one of the best teachers I have met. She taught me how to be an open minded person,” Masembe revealed. The school management told PML Daily that Tumwesigye’s will be laid to rest on Saturday in Kabwohe, Sheema district.